In May 2013, the Marcellus Shale Coalition (MSC) released a report on Recommended Practices for Pipeline Boring highlighting best practices for safe and effective pipeline boring, also called horizontal directional drilling (HDD). 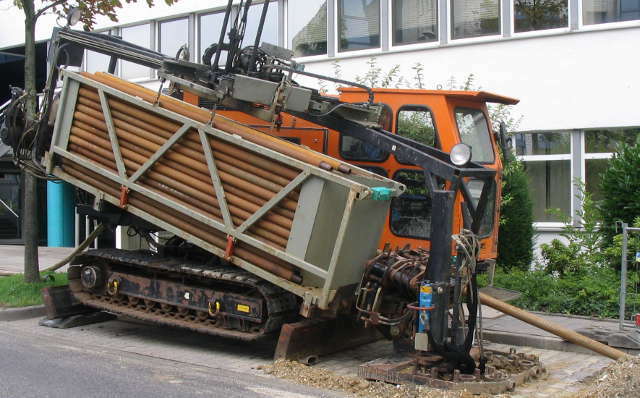 While pipelines are commonly installed in trenches, there are occasions where this is not possible, for example under rivers or existing highways or railways. In those instances, boring is used to install pipe without digging trenches. “Building the required pipeline infrastructure to safely transport natural gas from the wellhead to the marketplace is a huge undertaking and one that requires much due diligence,” stated MSC CEO Kathryn Klaber. The foundation of a successful pipeline boring project includes preliminary planning, feasibility studies, and on occasion geotechnical evaluations. Investigation of the land, including any existing structures like utility lines and right-of-ways must be undertaken, and permits and authorization obtained in advance of construction. Lastly, the report recommends the development of a contingency plan to cover alternative actions in case of any unforeseen problems. “These Recommended Practices for Pipeline Boring provide operators with a road map to ensure these projects are constructed with the highest degree of integrity; that operators plan appropriately prior to construction; and that contingency plans are in place,” Klaber said. The MSC report outlines the five stages of installation, noting the equipment used for a pipeline boring project is unrelated to (and significantly smaller than) the equipment used to drill the horizontal shale wells in the Marcellus and Utica formations. Directionally drilling a small-diameter pilot hole along a predetermined path. Enlarging (or reaming) the pilot hole to a diameter that will accommodate the product pipeline(s). Several “reaming” passes may be necessary to enlarge the diameter of the bore hole incrementally, depending on the size of the required bore. Inspection of the product pipeline prior to installation. This includes a visual inspection for coating damage, radiographic inspection of welds and a preliminary hydrostatic test. Pulling the product pipeline through the bore. Post-installation inspection. A visual inspection of visible sections of the piping for coating damage and a hydrostatic pressure test. Additionally, If the boring is done underwater, the State Regulatory Agency (SRA) may require advance notice prior to installation, according to the MSC. Pipeline boring avoids disturbance of water ecosystems, railways, and highways. By implementation of safe practices, we all benefit from these precautions.